Classic rock is having a moment. For the past two weekends, thousands ventured to Indio not for Coachella but for Dessert Trip (also known as "Old-Chella") where dozens of classic rock lineups performed for audiences young and old. Bob Dylan just won a Nobel prize for literature. And in the fashion world, band tees from classic bands like The Rolling Stones and The Who are everywhere. 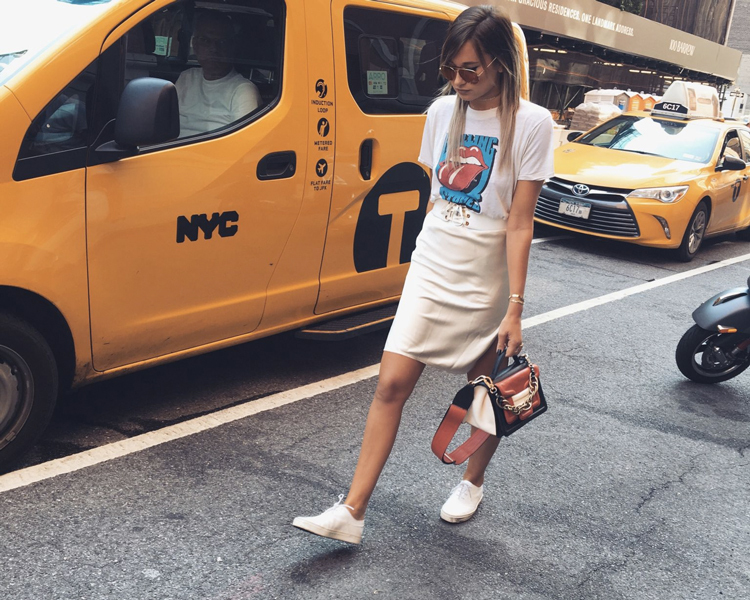 Who would have thought that the biggest street style trend this past Fashion Month would be graphic tees? Not me, but this is the world we live in. 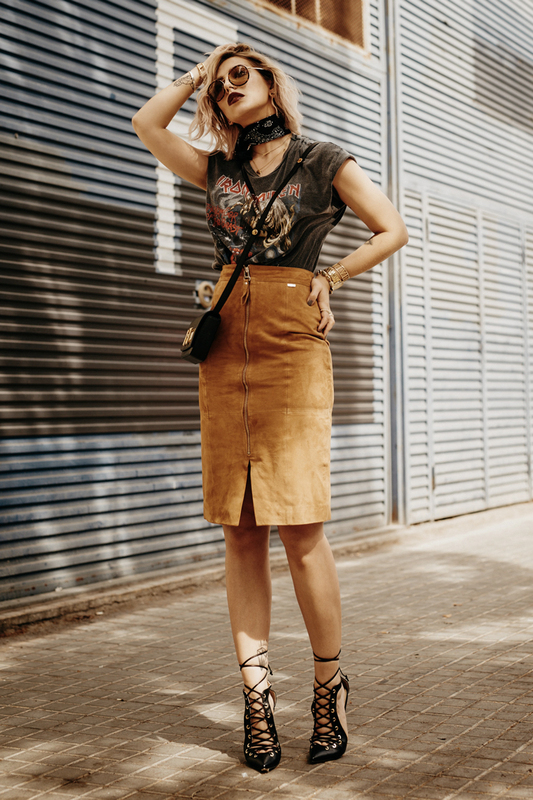 Of course, the fashion crowd doesn't just do their T-shirt with a pair of jeans; no, casual pieces must be dressed up, paired with metallic Isabel Marant skirts or attention-grabbing statement boots. How would you style a classic rock T-shirt? I'm so glad to hear that, Heidi! Can't wait to see how you rock the trend! Thank you, Laura! 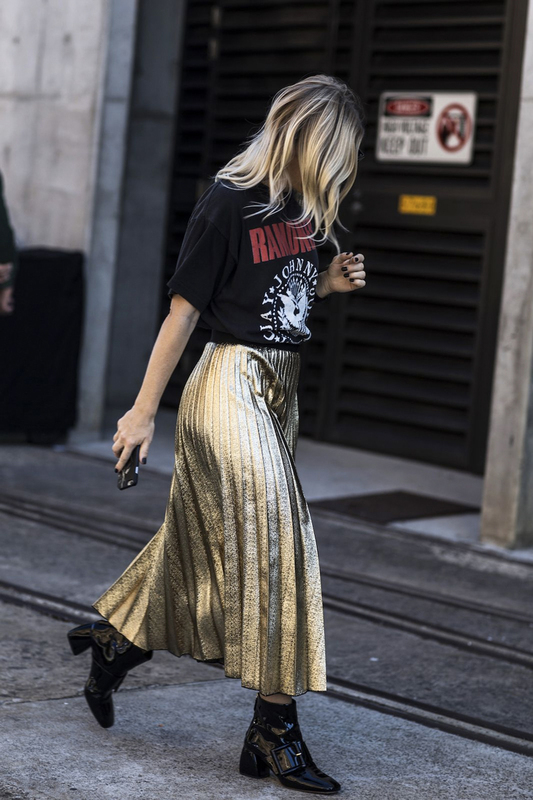 Yeah, I think a fun metallic skirt and a pair of killer ankle boots is a great way to dress a T-shirt up in a fashionable way!